Abuse Center is a whmcs addon that is necessary for any web hosting company that wants to have a well organised system that notifies clients about abuse issues. 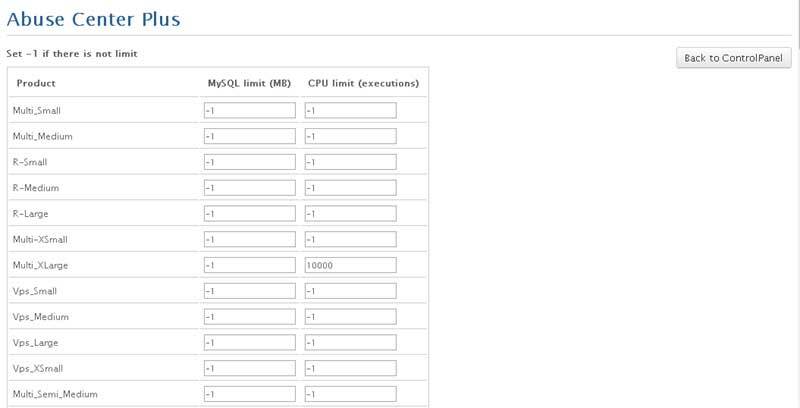 It (optionaly) montitors Database size, Inodes, CPU executions. In client area, the "resolution center" is added so as client has a history of all abuse issues opened by webhosting admins about his account. 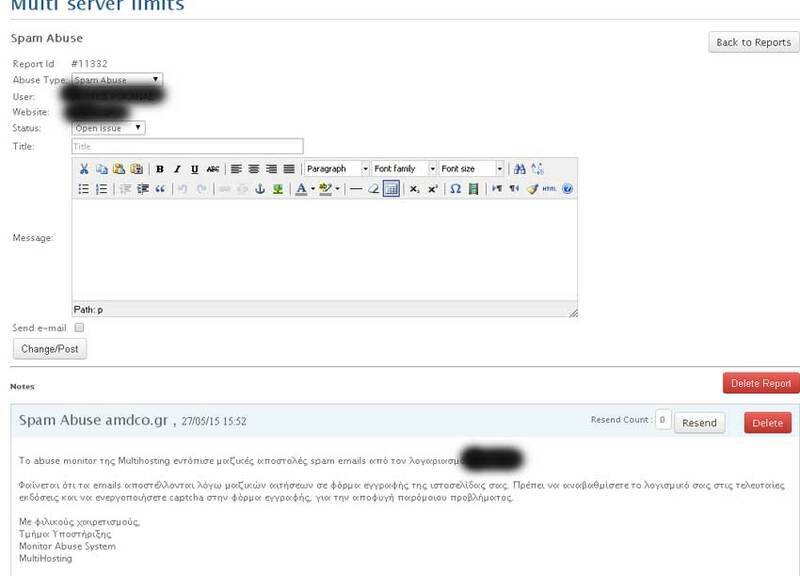 The admin can import unlimited abuse types/categories and send notifications to clients. The admin can choose different limits in products and servers where the MySql type of abuse will be active and the client will be notified about the Database size abuse. Mysql size abuse is created automaticly by the system with a cron job. No manual actions needed. Inodes of each webhosting account are also monitored. Notification to the client is sent and an issue is opened in resolution center anytime an account overtakes the cpu limits. Optionaly, CPU executions are monitored and abuse notifications are sent to clients, in order to reduce the execution, or alternatively to purchase a higher hosting plan. IMPORTANT: CPU executions are retrieved via 1H Hive, so this feature is only available for web hosting companies that use 1h hive. See more about 1h here. 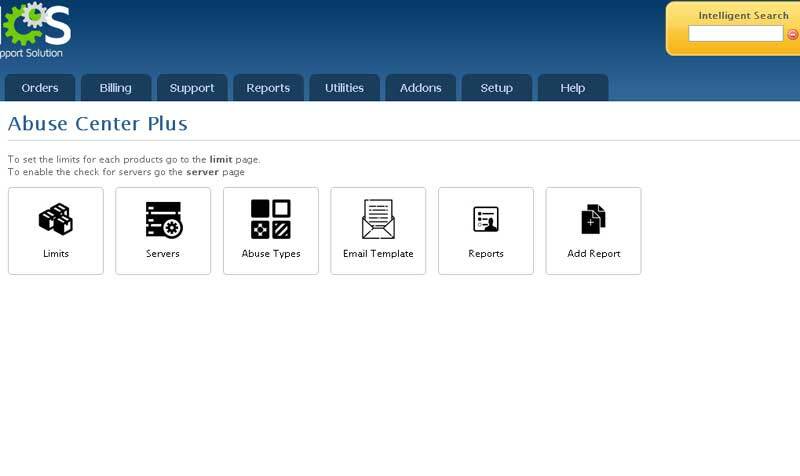 The email templates for each abuse type can be created according to your needs, via editor, in whmcs backend. A well organised Abuse Page is created for the admins in the backend, so there is a short and a full overview of all abuses. This way, all admin can have a full history of active or past abuses. Also in each client products page, you can see all active abuses. This is very important when supporting a client, so as you can have a fast overview of each client's product abuses. The Abuse Center system is added in intelligence search so as the admin easily finds any abuse. Note: The client doesnt have the ability to interact with support operators, like in the ticket system. Only admins can update any open abuse issue. Check also Advanced Server Status addon for Whmcs! This addon is based on the default Server Status of Whmcs. It enchases it's functionality, so as you can add server groups, check different ports on each group and also show the % Uptime of your servers. A must have for any Web Hosting Company!